Wow...So much is happening in the next 24 hours. 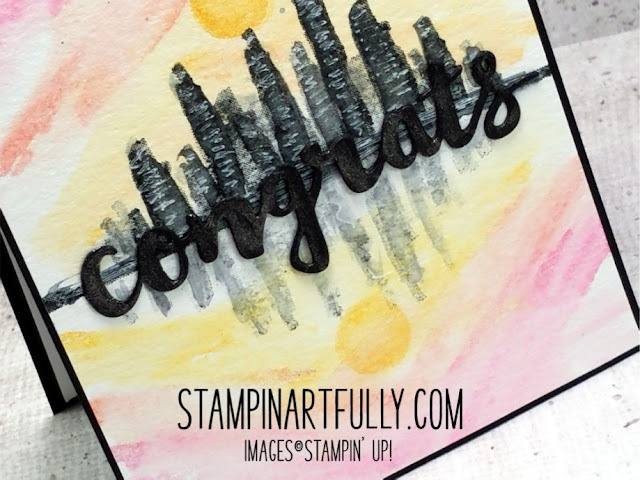 Stamp sets I love are retiring and the new 2018-2019 Stampin' Up! annual catalog goes live! I am listing a few of my favorite stamp sets that are retiring, along with some photos of projects I made with them. I will link all products below this blog post. Remarkable You stamp set: I LOVE this stamp set and am sorry to see these lovely flowers go. They are so amazing for watercoloring. I used gold and white embossing powder on the flowers below, along with watercoloring techniques. It is probably my favorite project I made with this stamp set. The card below was my entry for a Global Design Project. I used a bit of a mixed media look with this one. The torn cardboard was from one of my Stampin' Up! boxes I received an order in! 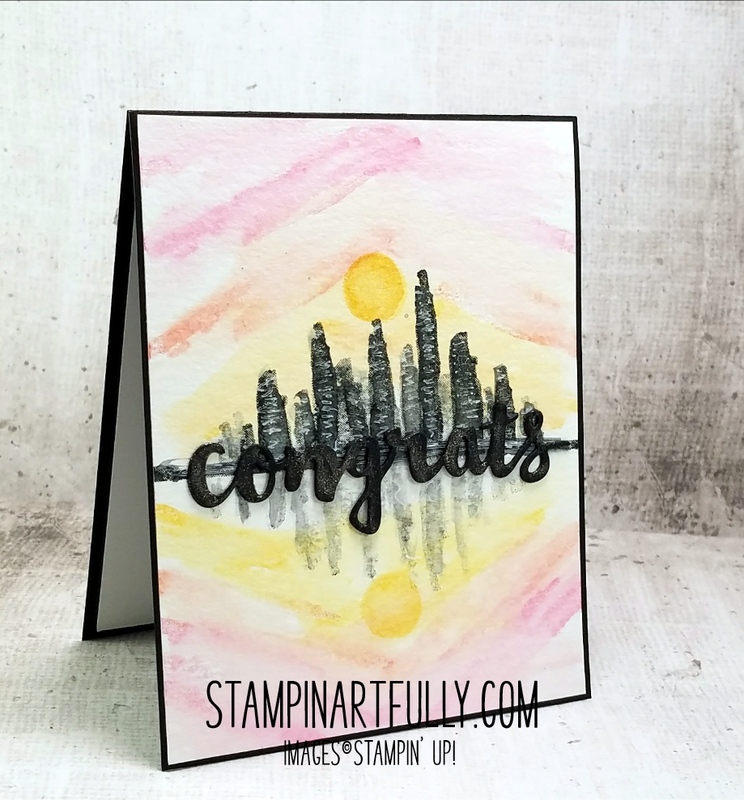 The background for the card below was created using my "not your Mother's shaving cream technique". Click here for video tutorial. This next stamp set is called Wherever You Go and has some very interesting images. I adore the bridge. The card above was made using my "foolproof watercolor technique". Click here for a quick video showing how I use baby wipes to achieve this look. Click here and here for a few blog posts with more information on the technique. The background for the card below was made using my "not your Mother's shaving cream technique". The next set is called Rose Wonder. It has matching dies. I white embossed the image above, before lightly watercoloring it. I gold embossed the image above, before watercoloring it. I actually used 2 of the stamped images and selectively trimmed the second one for the rose bud on the upper right. I hope you have enjoyed seeing some of my favorite projects. 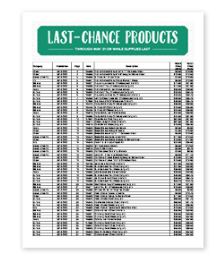 The specific stamp sets (and dies) are listed below. Depending on inventory, there are discounts on selected products. Welcome to the Masculine Themed Blog Hop with Stampin' Friends! 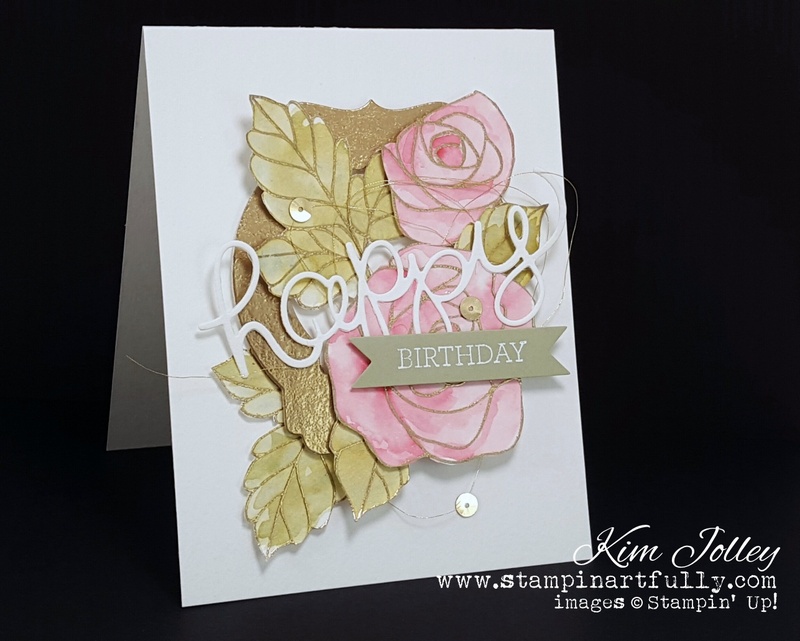 This month we will showcase ideas for masculine inspired cards. (Just in time for you to get a jump on Father's Day cards!) You will see links for the rest of the hoppers below my post. 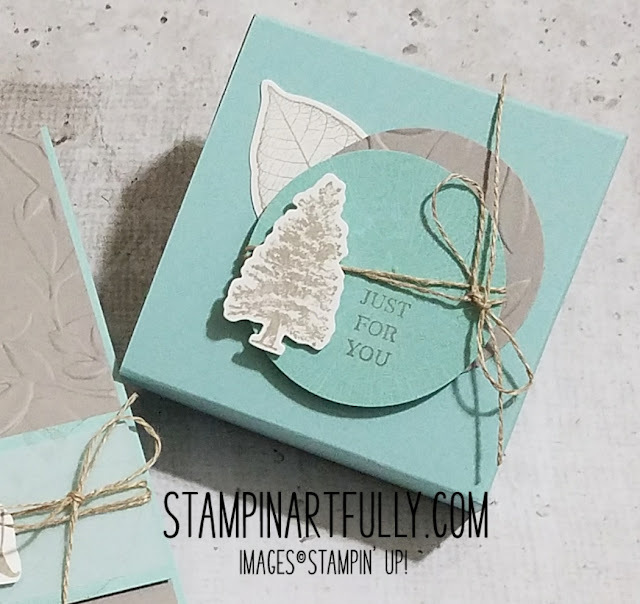 For this project, I have used the brand new Rooted in Nature bundle that will be available from Stampin' Up! in the new catalog starting June 1. The card is the normal dimensions, with a top fold. (4.25 x 11 inches, scored at 5.5) I used the new Granite Gray cardstock and ink, along with the current Pool Party cardstock and ink. The little box is 3 x 3 x 1 inch and doesn't take glue or tape! Yes, you read right. This little box is my "go to" when I have a small gift. I didn't come up with this box, but if you visit my original blog post HERE, there is more info and a link to the first one I saw like this posted by Pootle's on her UK Stampin' Up! blog. All I did was make mine larger than hers and the dimensions and scoring instructions are on my original blog post. I hope you enjoyed my projects. Thank you so much for hopping with the Stampin' Friends today. Please take a minute to mark your calendar for our next hop on June 21, 2018. 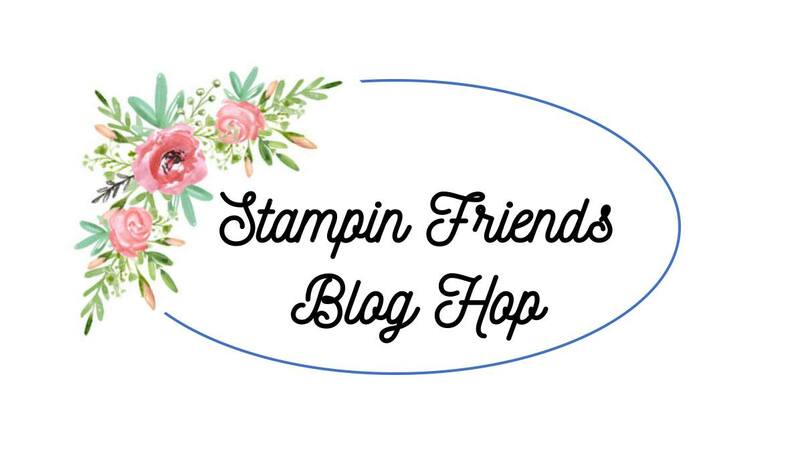 Now hop along using the Blog Hop Line-up below. Don’t forget to leave us a comment. We really like that! Hey Stampers! 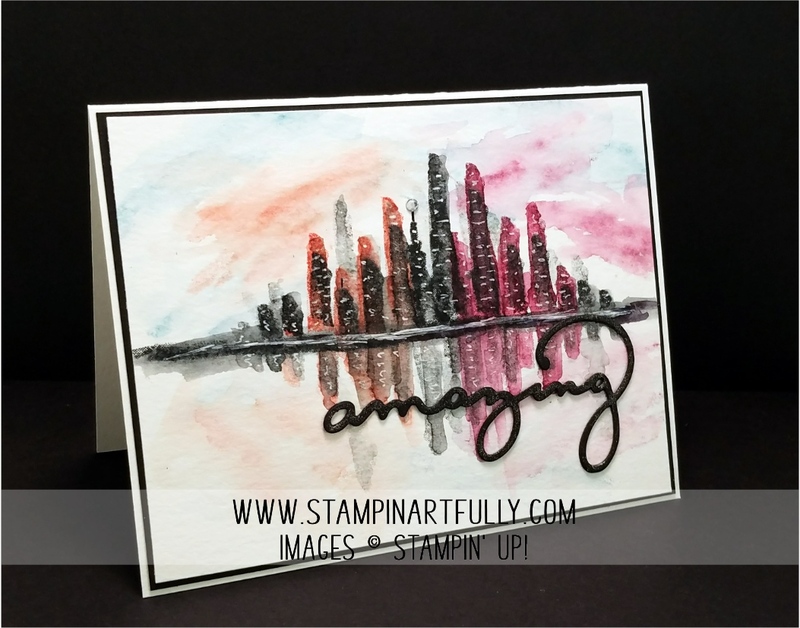 Earlier this year, I posted a few samples of city skylines using the Stampin' Up! 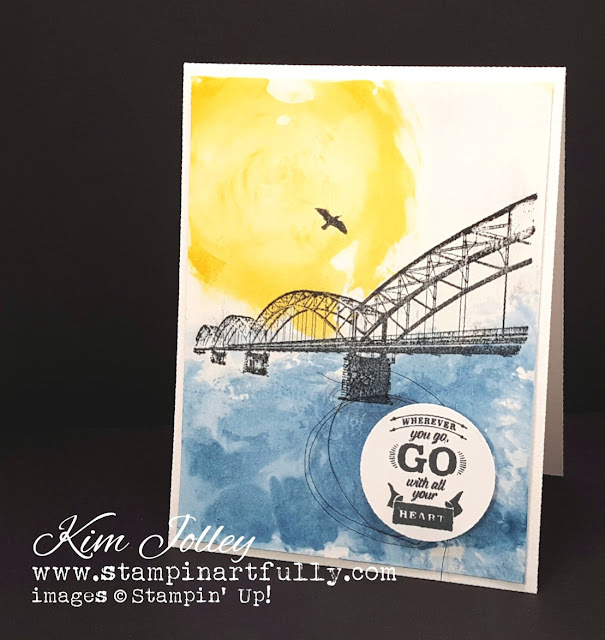 Waterfront stamp set. 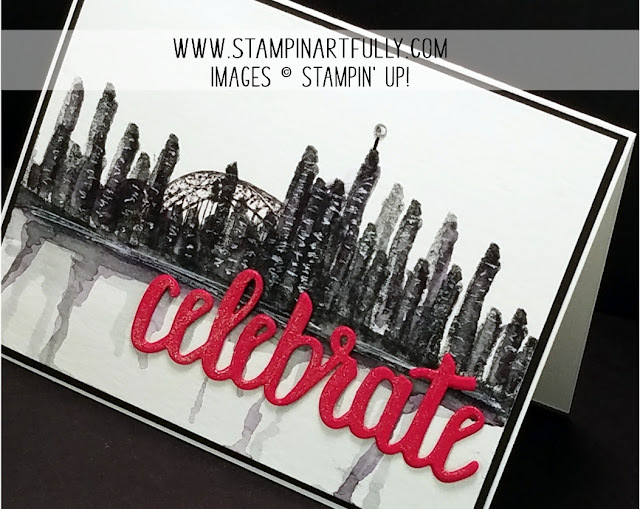 When Splitcoast Stampers offered to let me be a tutorial author this month, I thought this was a perfect time to do a video showing the simple technique. This is the card I will be showing in the video. 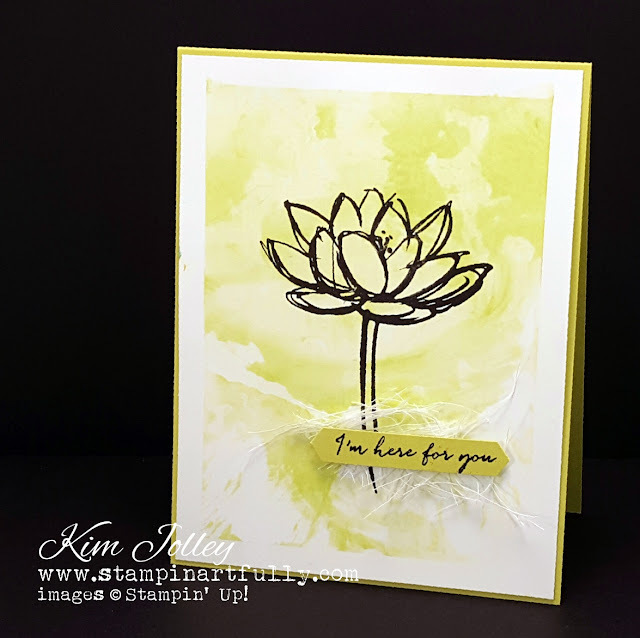 Click here to see the video and written instructions over on Splitcoast Stampers. I am also posting the video below. Look how the gel pen makes it look like hints of windows on the buildings! If you are seeing this blog post via email, you will need to click on over to my blog to see the video below. I only used Tuxedo Black Memento ink for the card above. For the cards above, I simply used my first colors to stamp the "buildings" in the background, then stamped the buildings with Tuxedo Black Memento ink. The "amazing" word die was available as a Sale-A-Bration item this past January-March, but it will be available for purchase (with 2 other words) in the new catalog. Watch for updates, as I will be definitely using those dies. 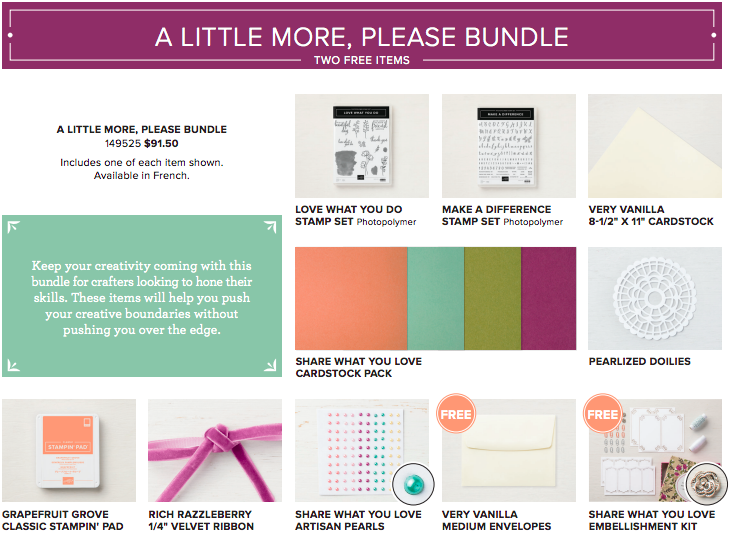 Share What You Love Suite~Early Release Bundles Start TODAY! May 1-31: Here is your chance to get products NOW from the new Stampin' Up! 2018-2019! CLICK HERE for the product bundle brochure for all of the information on ordering these new items during the Share What You Love early release promotion. 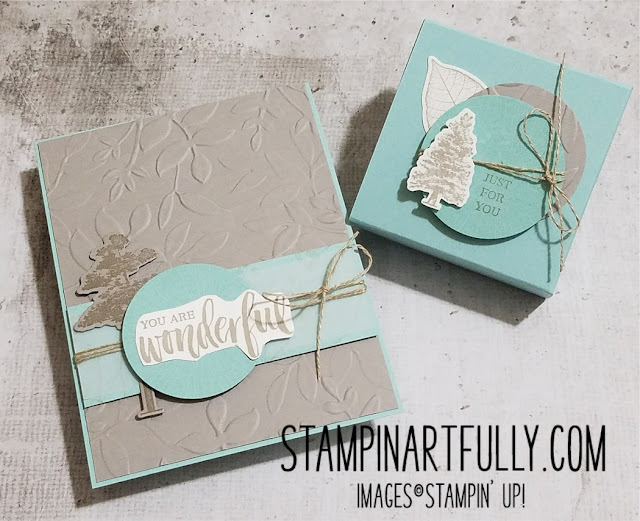 Watch Brandy from Stampin' Up! explain what all the fuss is about! 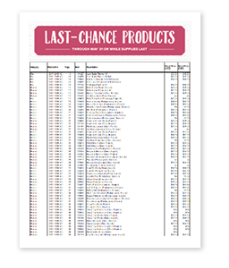 Don't miss out on the FREE products! 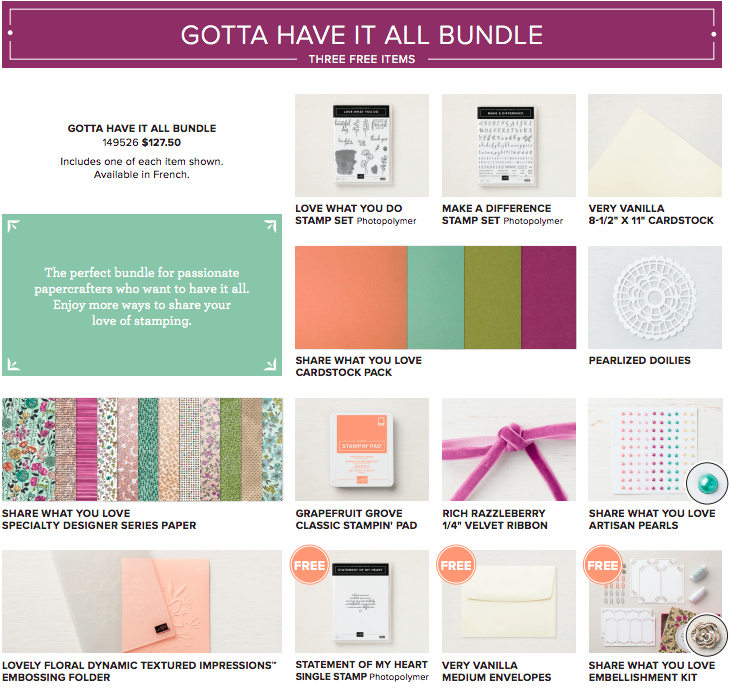 May 1-31 are the purchase dates for the bundle pricing and free products. 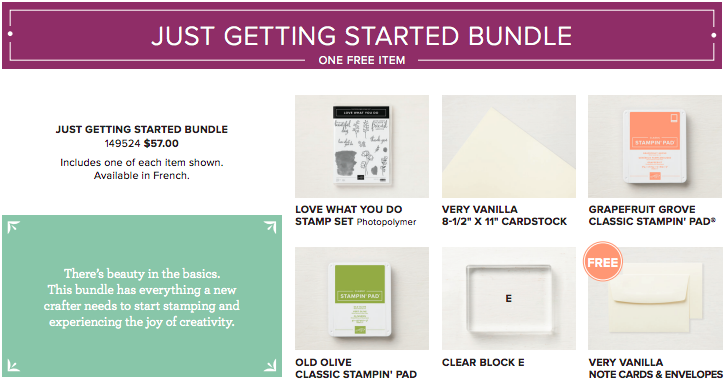 You may use the bundles as part of your $99 Starter Kit and will even still get the free items! The special bundles are only available until May 31. 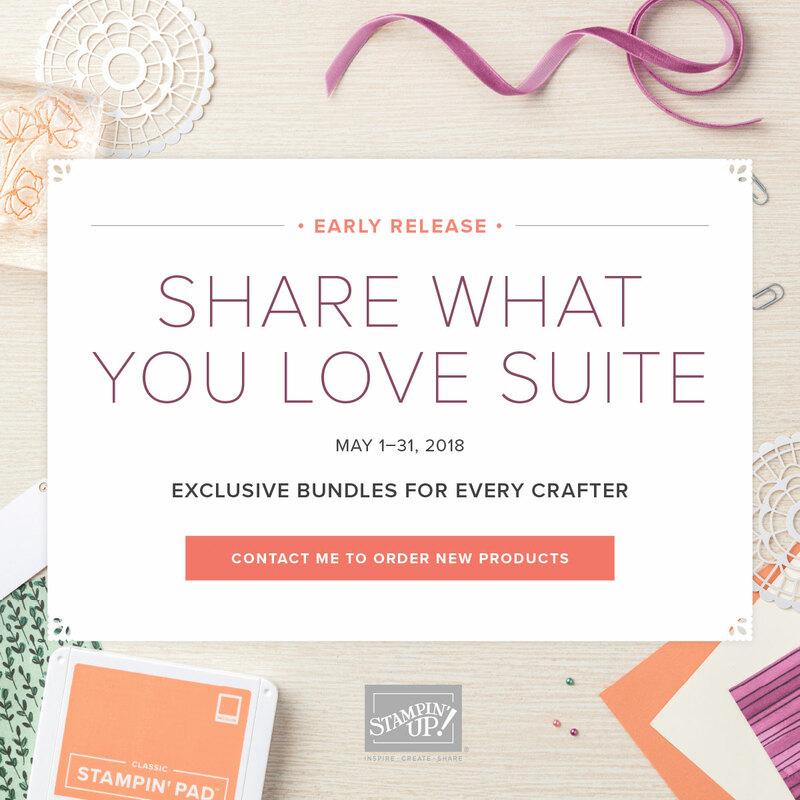 The Share What You Love Suite individual items will be available in the new 2018-2019 catalog, just not as bundles. If items in the bundles become unavailable during the sales period, available will ship and back ordered items will ship separately when available. Order the new In Color Ink Collection now at a 10% savings over buying them individually. CLICK HERE to order. Click on each photo below to learn more about the different bundles available.